Hello Everyone! Here is part 2! Sorry for the delay, but this has taken quite a big of work to create, however I am in love with it! Go Here for part 1! 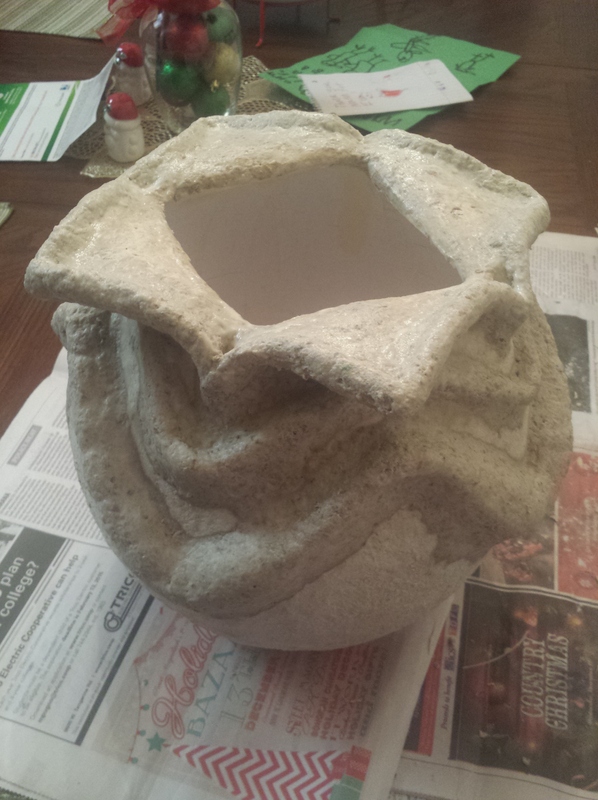 For this section, you will need to make paper mache clay. 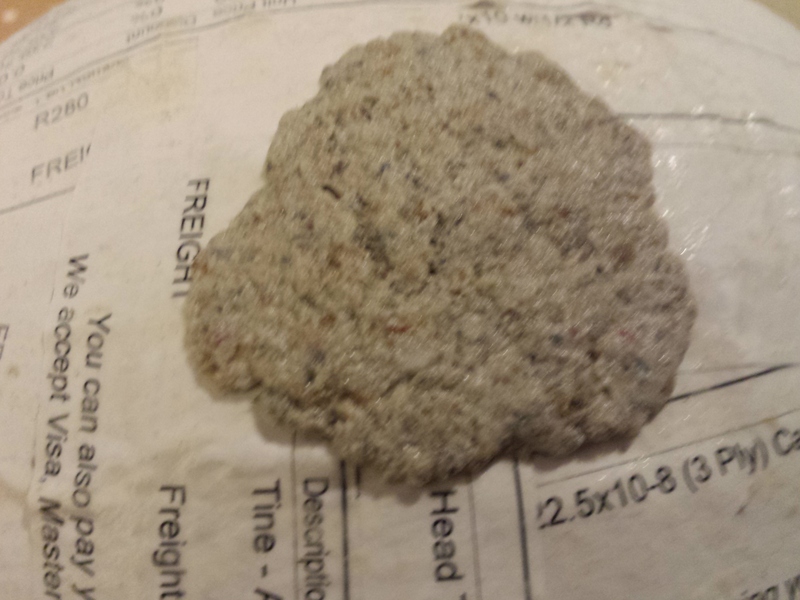 You will need the paper mache paste I mentioned in part 1, joint compound, and insulation paper. I honestly don’t really measure out anything, I just try to get enough joint compound and insulation paper mixed in with the paste to make a clay that sticks to itself but not to your hand. If you can roll it into a ball and it stays, then you’re golden. Here is a basic recipe to start by. 3.) As much insulation paper you need. Make clay that doesn’t stick to your hands! 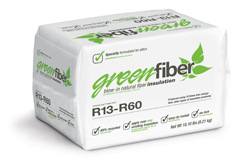 I used GreenFiber (found at HomeDepot) for about $9 and it’s a 19lb bag! 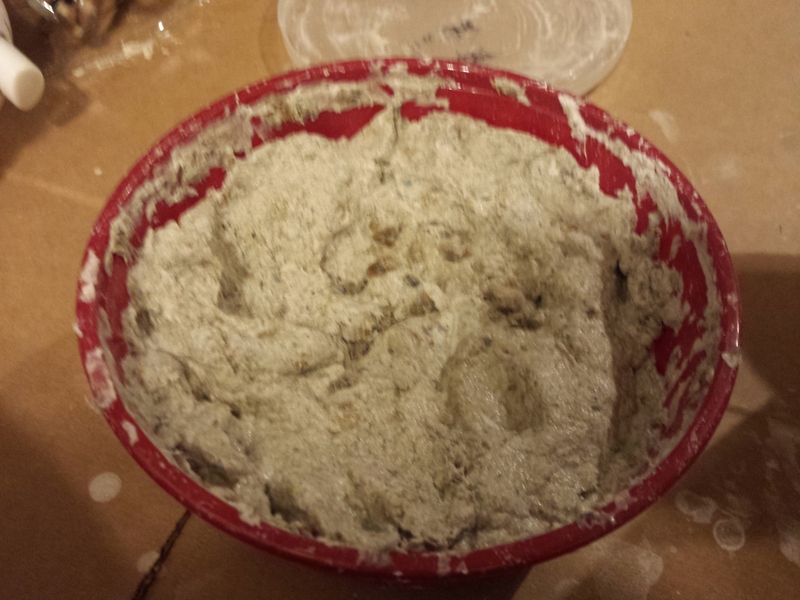 Combine the paste and joint compound into a large bowl. Mix it with an electric hand mixer until nice a smooth. Add in about a hand full of insulation paper, press into paste with mixer beaters first, then turn on the mixer. This way less dust gets into your noes. ;p Keep adding insulation paper until you get a nice clay that sticks to itself and not your hands. 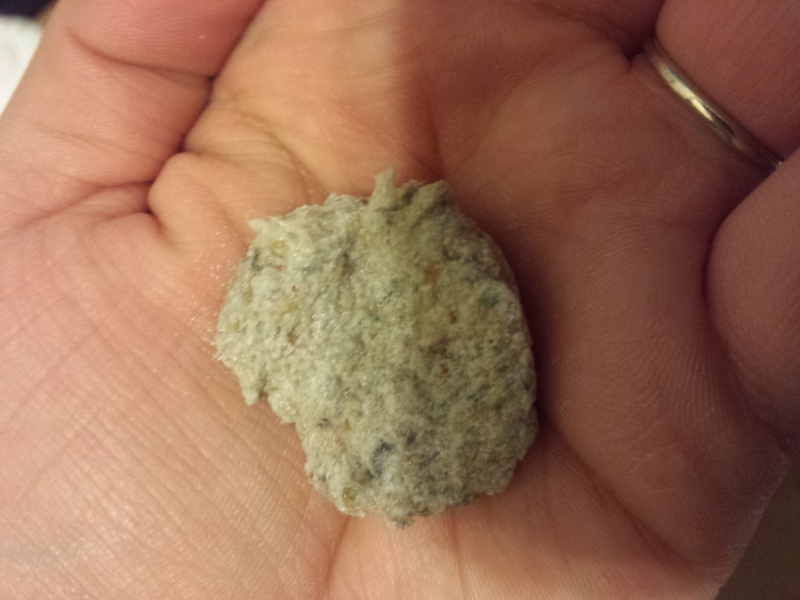 You don’t want to see any joint compound in your clay. That’s how you know you mixed it well. Once you have your clay complete, store it in an air tight container in your refrigerator. Keep in mind this will begin to mold, so make it if you plan on using it soon! 1.) 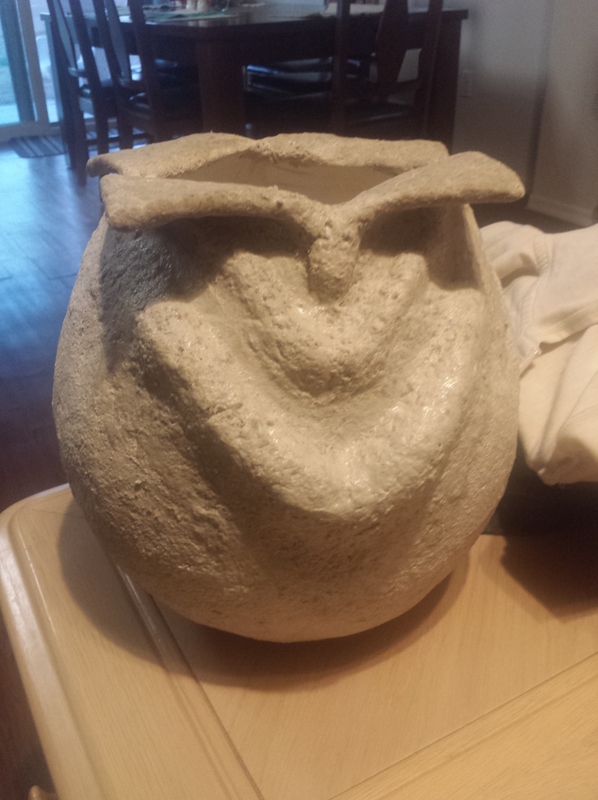 Get your paper mache paste and brush it onto the surface you plant to apply the clay to. 2.) Next, get some clay and apply it onto the spot you brushed the paste on. 3.) 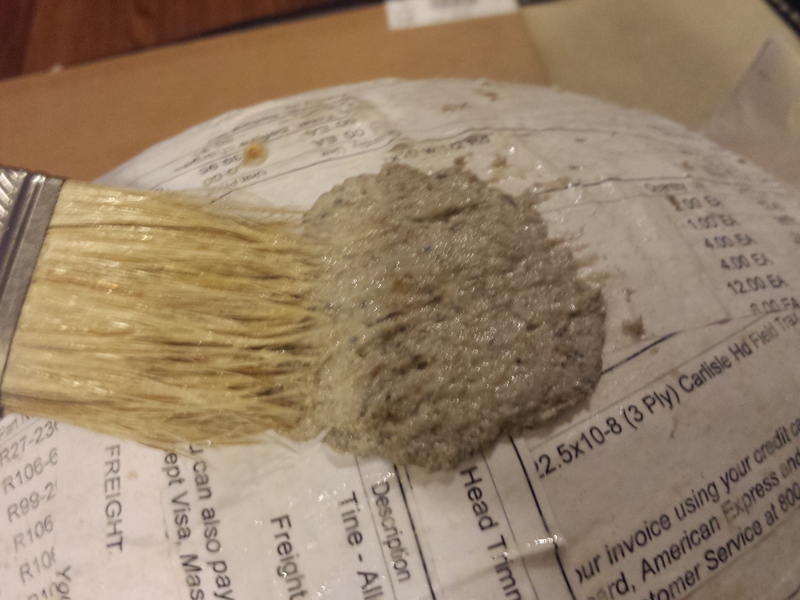 After that, get more paste onto your brush and smooth out the clay by brushing the paste on. 4.) 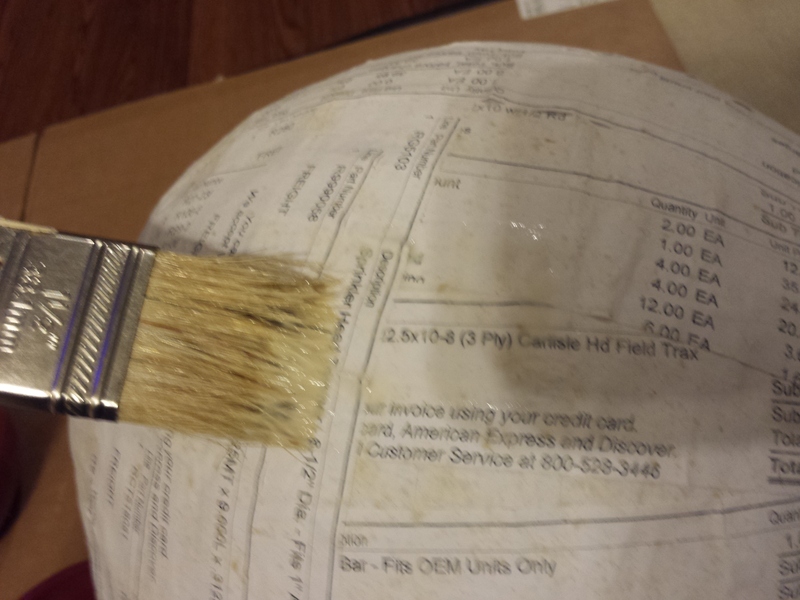 Continue to do the above steps until the outside of the egg is covered! I worked in steps because this clay and paste can get heavy while it’s wet. 5.) 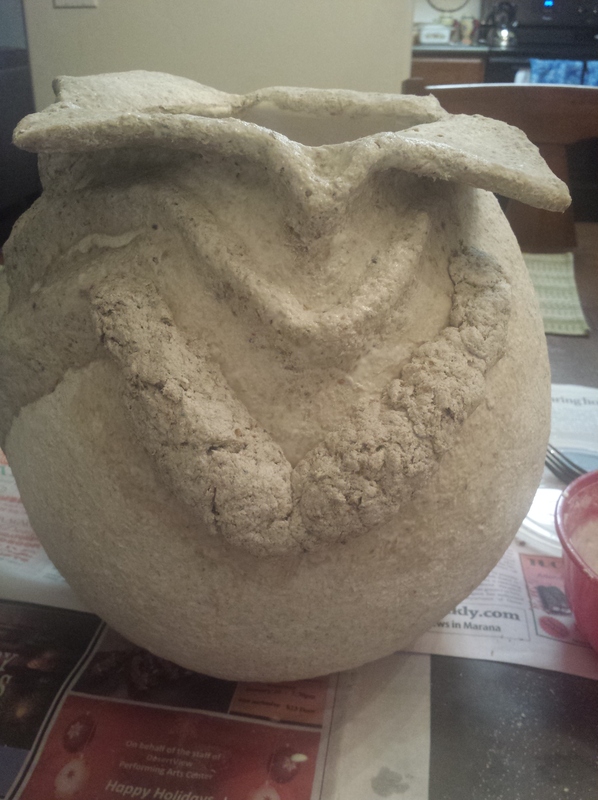 After you cover the egg, let the clay dry completely! This way you can seal it later and no moisture will be caught inside. No moisture = no mold. When the egg is try, it should be a lighter shade and not squishy at all. 6. )Next, work on the “petals”. I wrapped those in tape first, then applied the paste and clay. Reason for this is because I wanted them more sturdy before I applied the clay. 7. 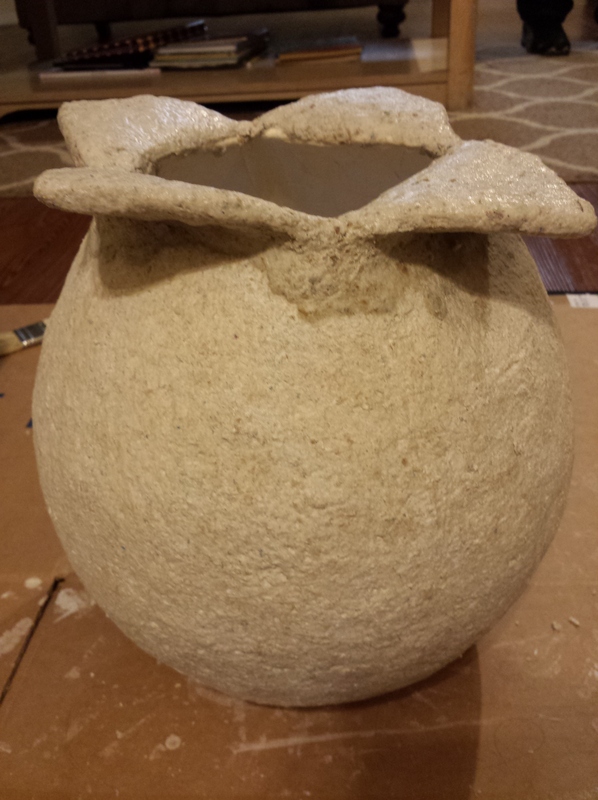 After the petals are dry, you can start adding the detail to the sides of the egg. This way you can move the egg around and not worry about messing up what you’ve already made. The first image (left to right) is the application. Second imaged, I smoothed the clay it to make it “part” of the egg (the folds), and the third image is where I added more detail to the petals while the side dried. Any questions, please leave a comment! If this helped you out, please like and share! Go here for part 3!